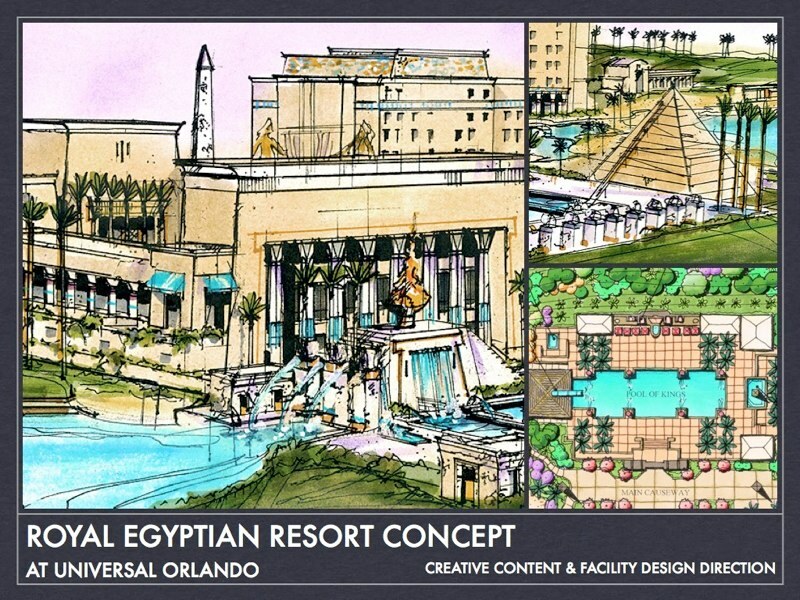 Our previous look back featured Universal’s Silverscreen Resort, the once conceptualized, but never built, 4th on-site hotel for Universal Orlando. 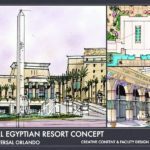 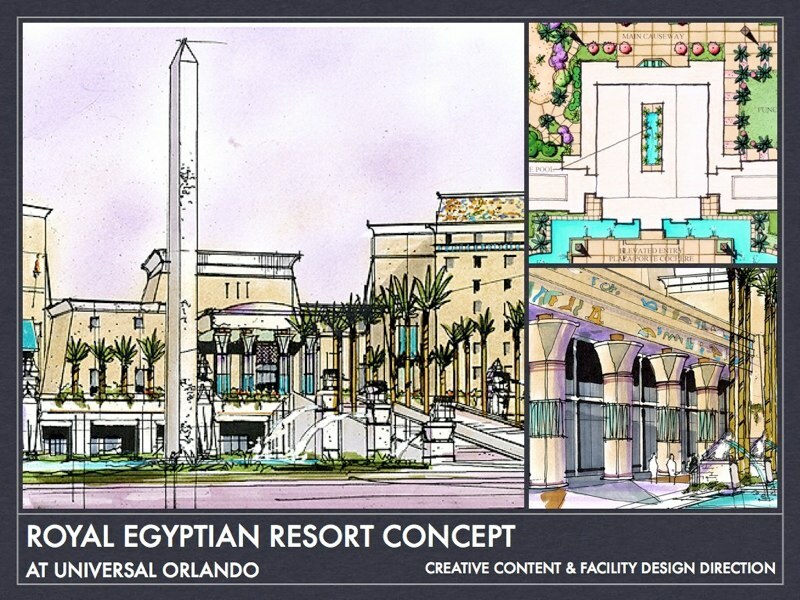 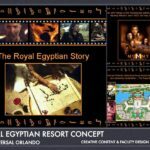 Sticking with the hotel theme, today we’ll be taking a look back at Universal’s Royal Egyptian Resort, an early concept for the “Hotel ‘C’ Site”, which would later become Universal’s Royal Pacific Resort. 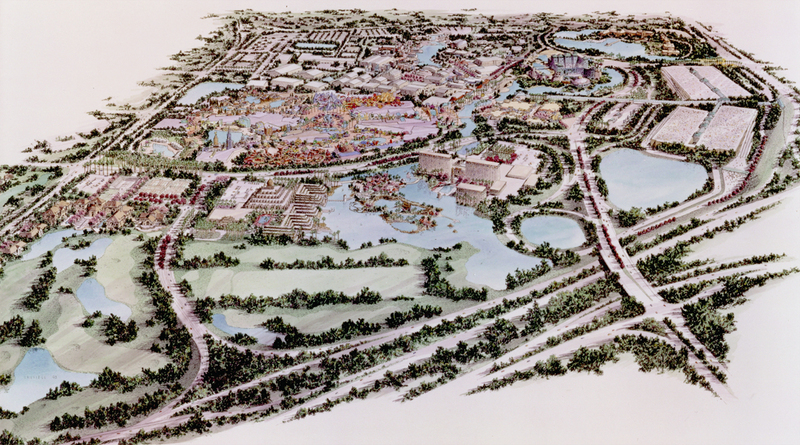 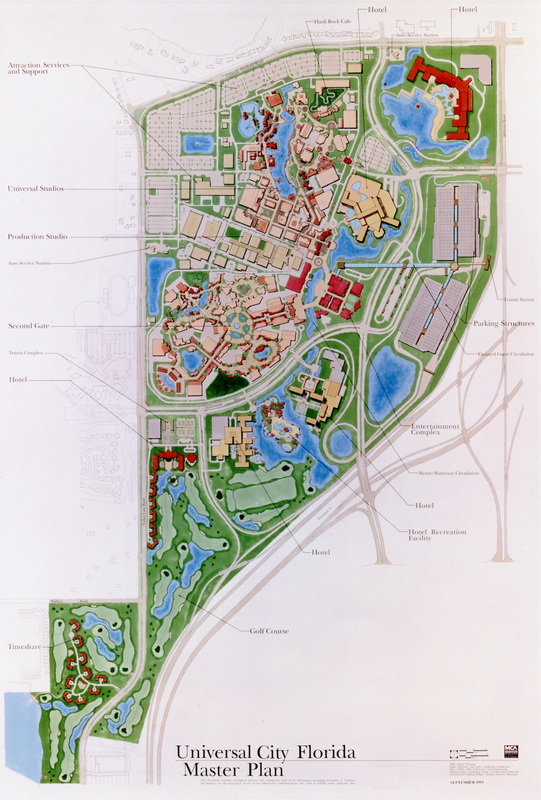 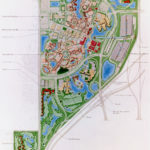 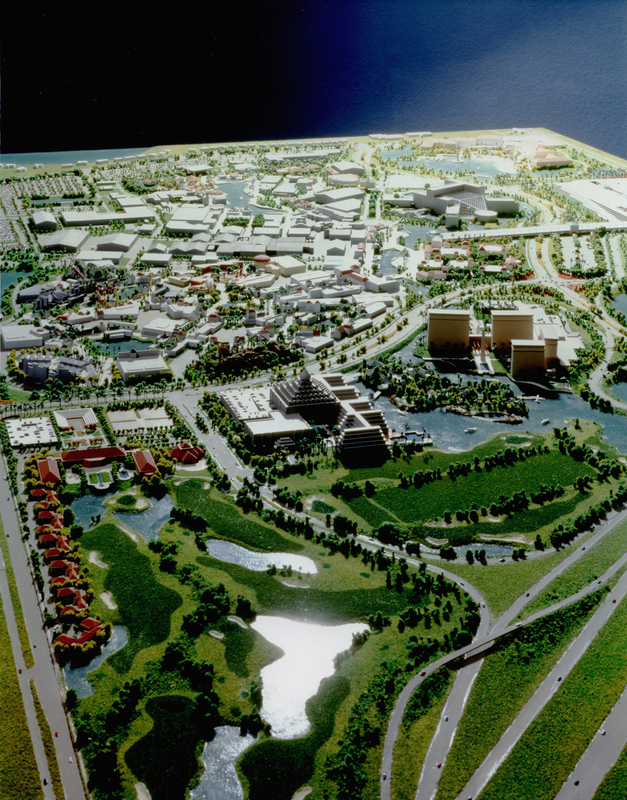 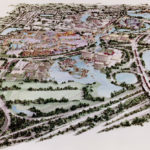 We’ll start off with these press release photos of the conceptual site plan and model for the entirety of Universal City Florida from the early 1990s. 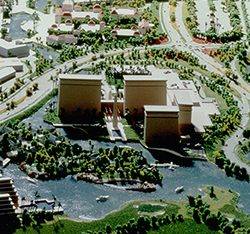 The Royal Egyptian Resort can be seen, with its giant obelisk, occupying the current site of the Royal Pacific Resort. 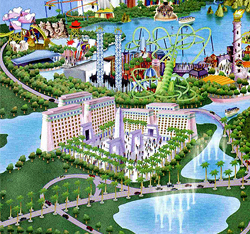 A vast waterway also surrounded the resort, connecting it to the other hotels, recreation island, and CityWalk. 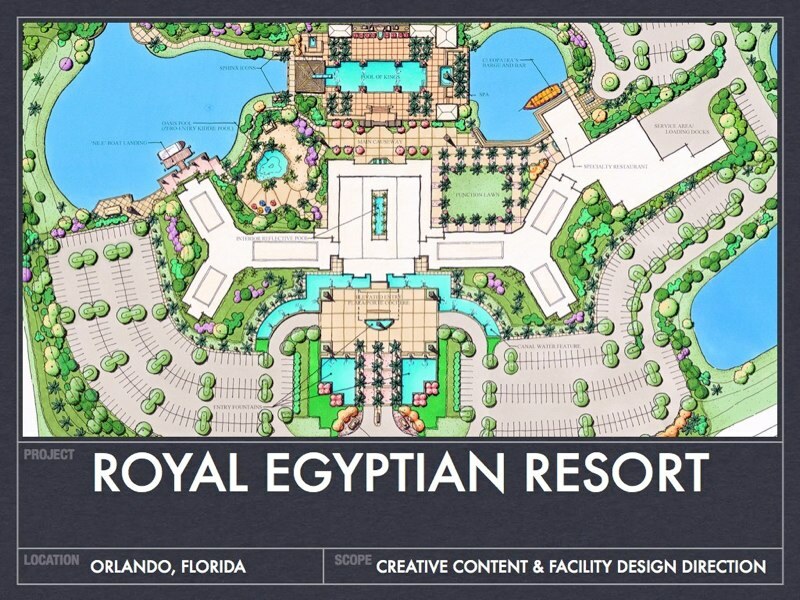 But press release photos from the early 1990s weren’t the only place the Royal Egyptian Resort was pictured. 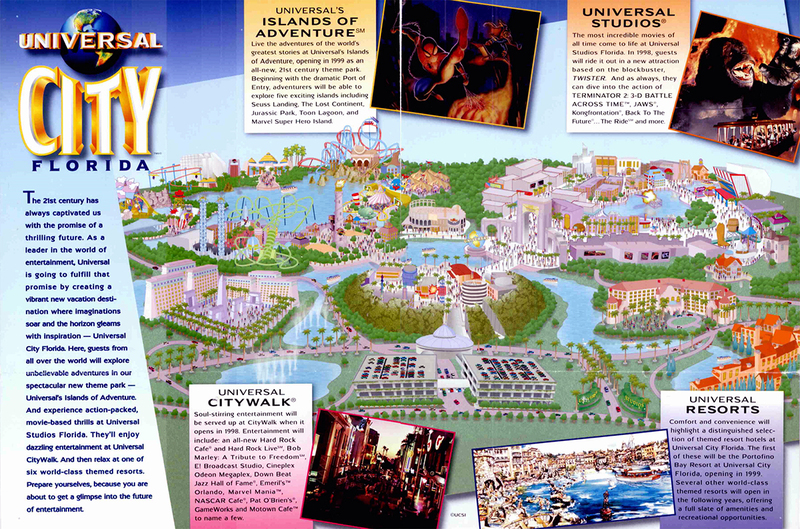 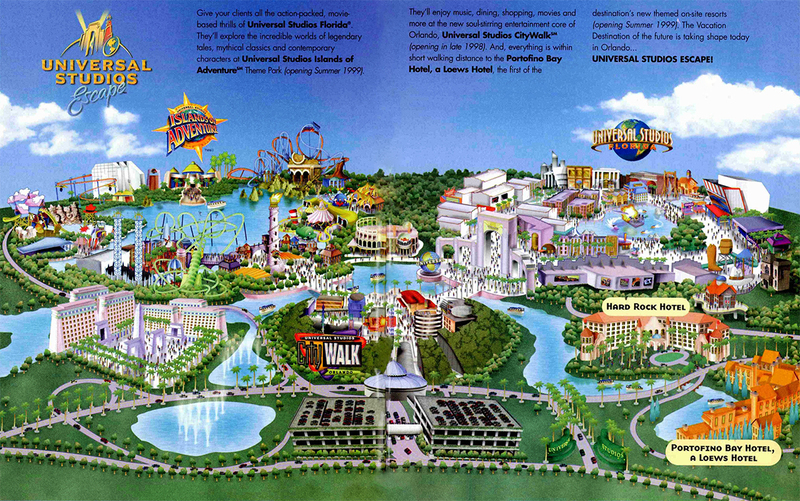 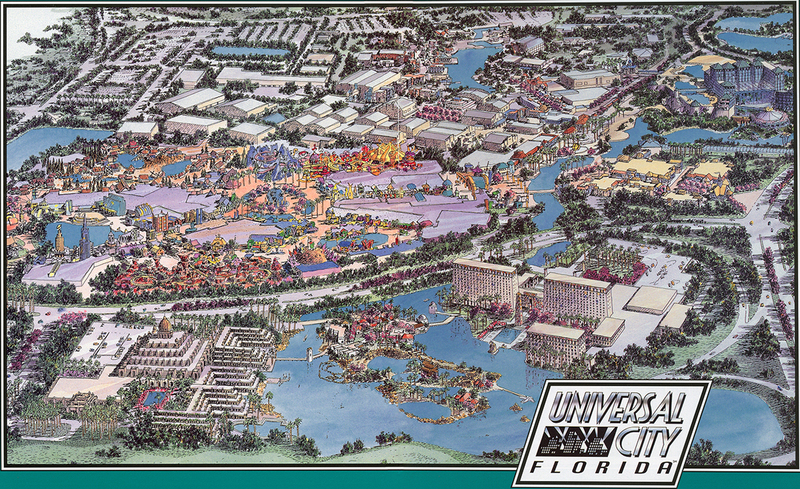 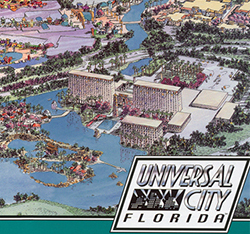 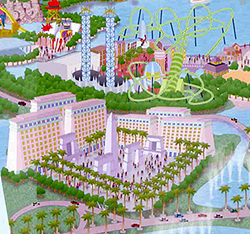 It also appeared on in-park advertising materials and brochures promoting the Universal City Florida Expansion in the mid-1990s, and later, the Universal Studios Escape re-branding in the late 1990s. 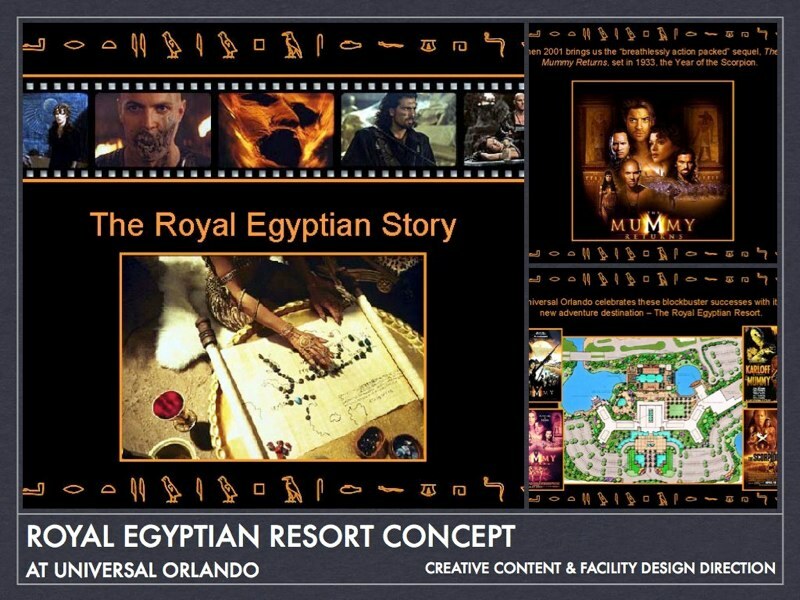 The Royal Egyptian Resort was intended to “celebrate the blockbuster success” of the new Mummy films by providing a new “adventure destination”. 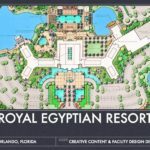 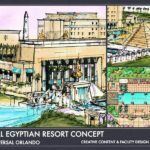 Below is a small gallery of photos detailing various areas of the proposed resort, as well as two more press photos detailing the master plan for the Universal City Florida expansion.